Israeli Ambassador to UN says UN body 'paying the price' for habitually discriminating against Israel, praises US withdrawal from UNESCO. UNESCO's board is set to meet next week and had announced that the anti-Israel resolutions it had intended to bring to a vote would be postponed for six months, but not shelved. This, although the result of months of diplomatic efforts by Israel, may have been an attempt to stave off the actions of the US and Israel. On Thursday, the US State Department announced that the US was withdrawing from the United Nations Educational, Scientific and Cultural Organization (UNESCO) over its anti-Israel bias and need for reform. The withdrawal will come into effect in 2019. Ambassador Danon praised the decision, saying UNESCO had been corrupted and used as a tool for “Israel bashing”. 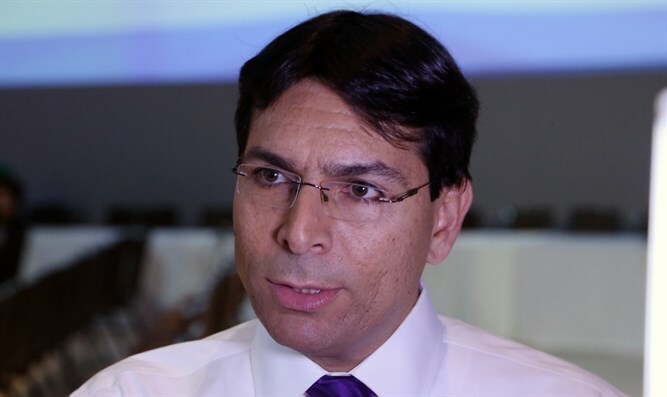 Danon went on to praise the Trump administration’s leadership on the issue, stating that the State Department’s decision demonstrated that the US would not tolerate attacks on Israel’s legitimacy.